With a local Real Estate Bell Agent, get the house you want at the right price. Our job is to combine services to our sellers. These include marketing which improves the competitive position of the seller’s home. We also assist them in countering low offers. Part of this process begins with the CMAs we do and the price at which we suggest you to list your home. Starting at the right price for the market with a little room for negotiation combines the market specifics with the human nature factors. We’re really good at this negotiation thing as we do it every day. We’re on your side, and our job is to get a combination of the best price and contingencies resolutions for your home. Many sellers are intimidated if there are distressed properties for sale or foreclosures putting downward pressure on prices. However, generally there is twenty to thirty per cent difference in selling prices between those homes and seller-occupied homes in good condition. You see, those distressed properties are usually in poor conditions. In many cases, they don’t even qualify for mortgages without extensive modifications and repairs which make them difficult to buy. 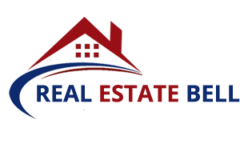 If you are selling a home Maryland or Virginia, let us help you. So, the first thing to remember is that you’re selling a “ready to move in” property, and this commands a higher price. The more “ready to move in” it appears to the buyer on first sight, the better the price you’re going to get. So, we’ll make some suggestions to improve its landscaping, curb appeal. We will also tell you to do outdoor and indoor improvements, and possibly even “staging.” Staging is the process of moving, adding to or taking away some furnishings in the home to make it seem more spacious. Since home inspections Maryland are the game changers, consider the possibility of post-inspection repair requirements by the buyer(s) as well. The time to think about this is from the first offer, as you don’t want to negotiate a purchase price that leaves you little or no room for possible repairs or condition corrections. This single item is the cause for the vast majority of deal failures after a successful initial price negotiation.